Phoenix factory rider Kenny Cross was giving the Phoenix pro cycles cruiser a work out at Santa Clara pal the other day. 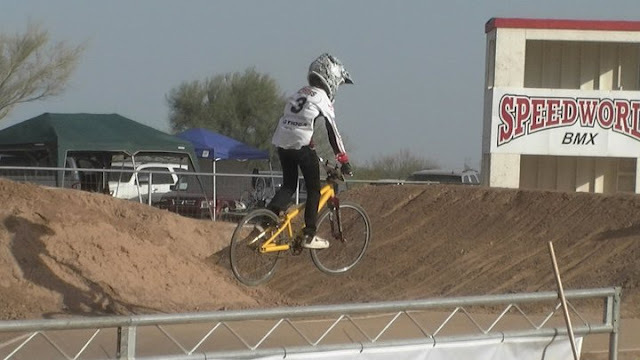 Rumor is he was getting ready for the USA bmx national at Black Mountain bmx in Phoenix AZ. Check out Phoenixprocyles.com for more Info on their sick frames. 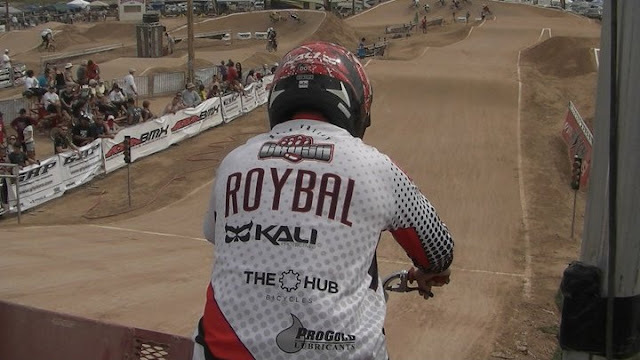 Will we see a Roybal/BS battle at a national anytime soon? Will it happen in Arizona? IDK. 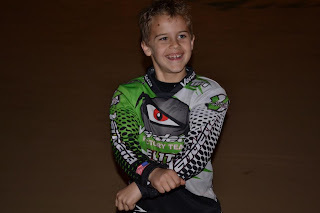 Revolution racing has picked up where crush left off, and Nate Thalhamer is one of their star riders.Every national he goes to he does better then the last and hes not far off the best in the world.Keep an eye on this kid, style for days as well. Last year the Love series happened in about 30 days and we just donated the money through Lukes Lemons and everyone was happy. So I'm pretty pleased to anounce that the Lucile Packard foundation is going to give us some support this year. Not only are they going to promote the series and give us a tax I.d. # for donors, they will be exposing our community and bmx racing to new audiences. Ever wonder how World Champ Tyler Grigsby stays in shape?Two words.Gangnam Style. 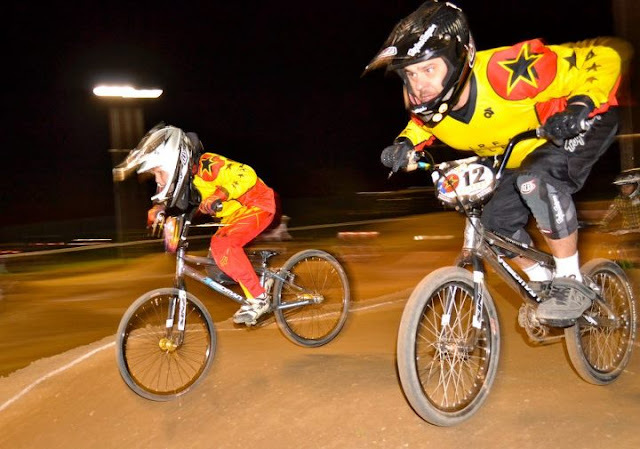 We have been working hard and reaching out to many in the bmx community.And so far we've received a lot of love in return.So this Year we are going to be adding to our auctions tons of jerseys from your favorite riders.Such as: Rusty Nesvig,Walker Finch,Tyler Shaefer,Bubba Gonzales, Austin Hiatt,Dani George,Josh Banuelos,Jeremy Rommel, Jordan Miranda, Shalen Reno,Kenny Cross,Gavin Lubbe,Pete Pascual,Taylor Wolcott,Joey Bradford,Carlee Ferree, Jared Garcia and others. And more will be added to the list.Make sure you take a second to check out their websites and like all of their face book pages.Show as much support for the companies that support these type of things and they will continue to support you as well. 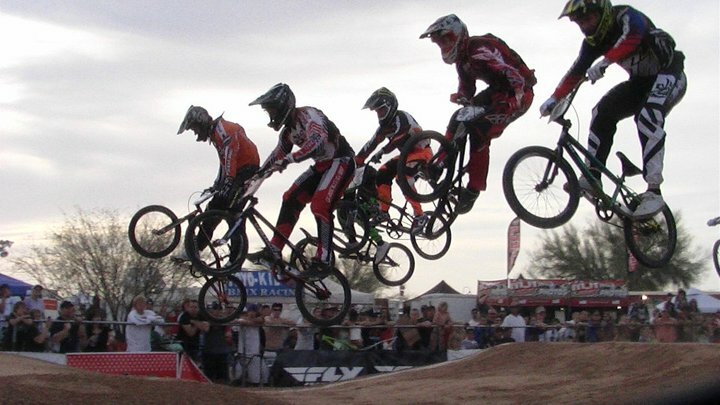 One of the things we are also talking about is doing the Mini ams and pro ams separate from the Love Series final race.It will have a pro spectacular type of feel to it.We are still working out the details and will let you know more when its finalized.Got to get back to work more details to come. 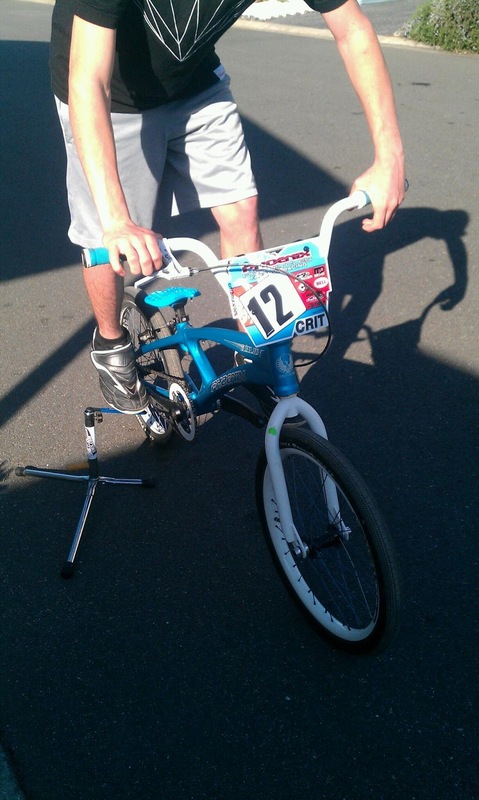 Multiple time #1 amateur Josh Oie was out at Spreckels park bmx giving the new bike a work out. 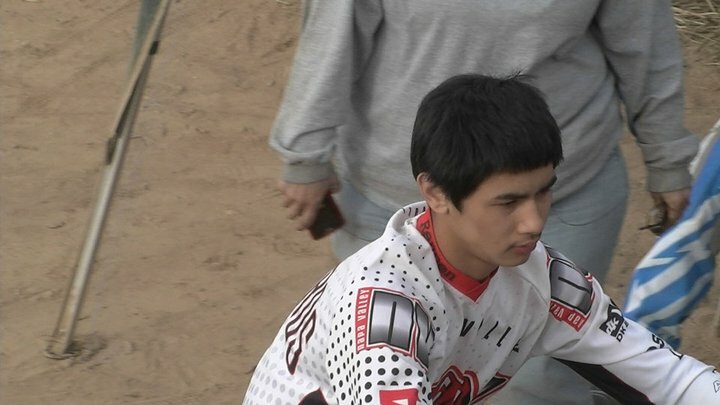 We have been seeing a lot of Dkoi frames popping up and its cool to see the Asian Assassin back on the track having fun on one. We reached out to Josh for a comment and heres what he had to say. Josh Oie- "Umm, just having fun on the bike again and doing it for the passion instead of a career. 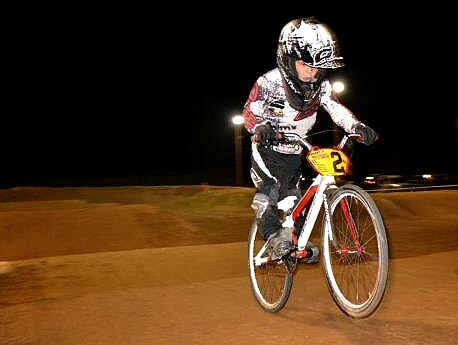 Plan on reclassifying so i can race some nationals while im not working full time haha. And loving the new dkoi bike and gear." 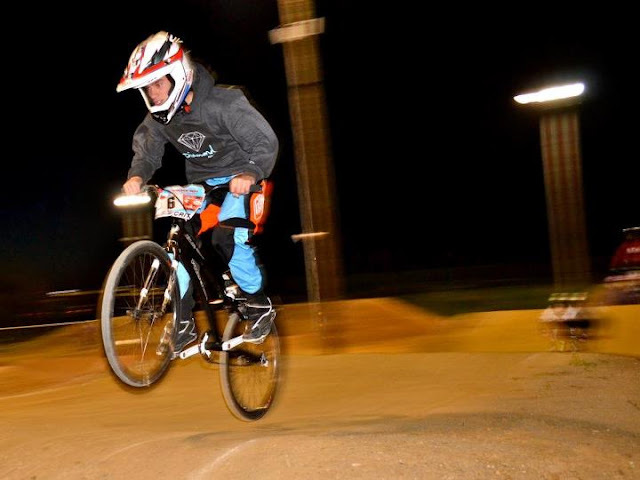 We hope to see Josh killin it at the love series. Pics by George Gomes. This pic is from The top of the hill Santa Clara. 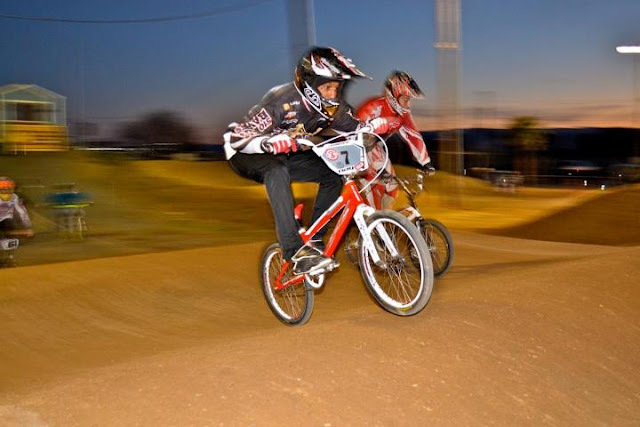 We are leaving for Arizona in a couple of days for the USA bmx national. Road trips are just something we do in our family it seems. Spending time together on the road has been some of the funest times of my life and I recommend it to everyone. Here are a few pics from our Arizona trip to Speedworld for the 2011 national. I found some old pics in a folder on photobucket that i forgot about.Here are the first set of pics from Oregon 2012 of the Hyper team. 5) You may only vote for Haro, Supercross or Redline for the golden crank awards. 4) In 2014 Californias getting one national and Illinois is getting 5. 3) Intermediates may only clip in after passing a safety test and may only wear sanction approved(who ever is the shoe sponsor for the year) clip shoes. 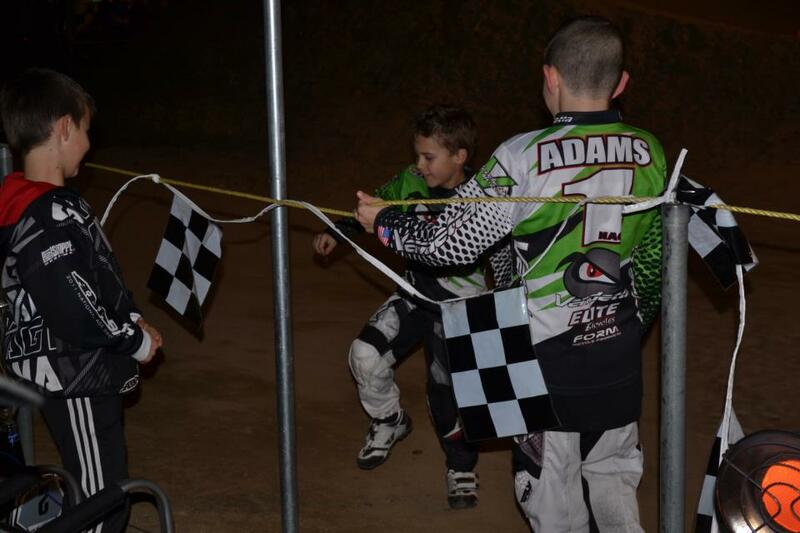 2)You can only get over and leave your assigned lane after the finish line. 1)Race fees will be $15 per race and practice only will be $20. This videos pretty awesome, I actually like it more then the original. 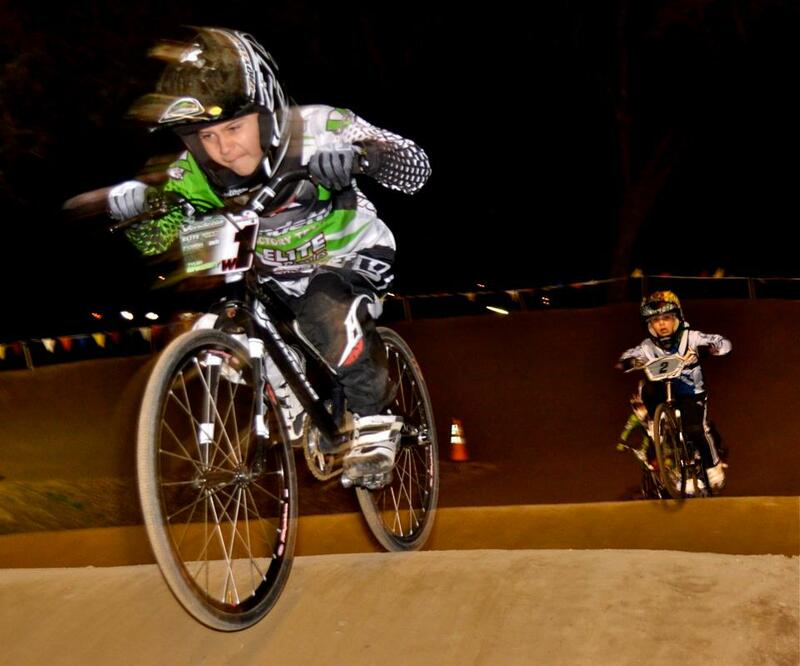 It's a remake of Thrift Shop and it features Phoenix Factory rider Lain vanOgle. Click the link above and check it out. This pic is from Nicks B Day and some girl thought she was talking to Kenny and I put it on speaker phone. All the homies thought it was hella funny. Dealing with the loss of a family member/close friend is a lot to deal with at any age. Check out this quick little video of Donny Robinson. I really like what he says. Motivate yourself and don't wait for someone else. I thought this was pretty funny, but I also think I know some 7 year olds from California that could beat them both. 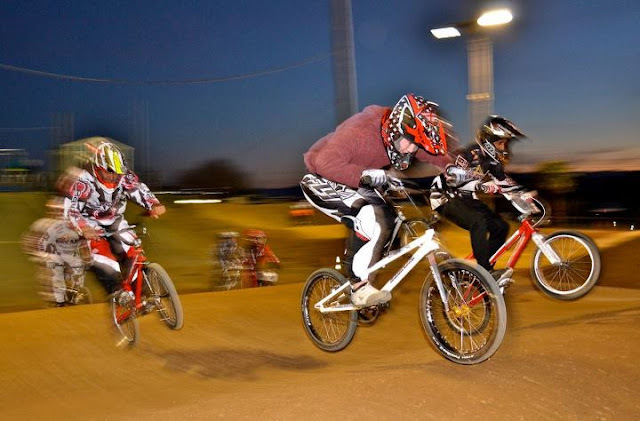 Former westside team member Nick Adams seems to be fitting right In with his new role as Factory rider at Vendetta. 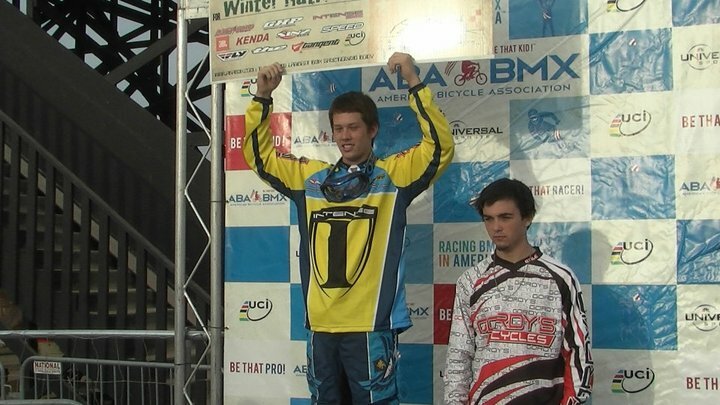 Nicks doing what he does best, picking up the W.
New Tangent Pull magazine ad. 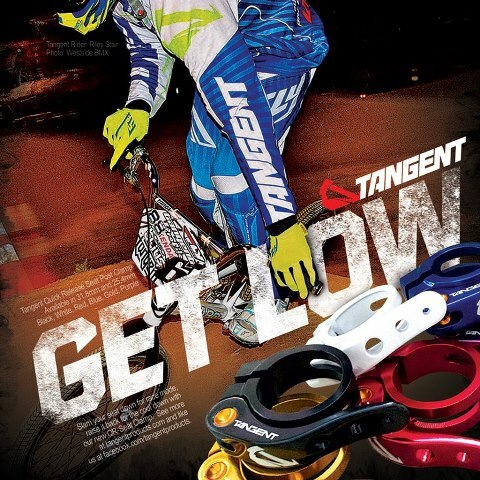 So stoked Tangent is using one of my pics for their new Pull Magazine ad. We are proud to have them as a team sponsor because they make dope stuff. Check them out for all your needs. 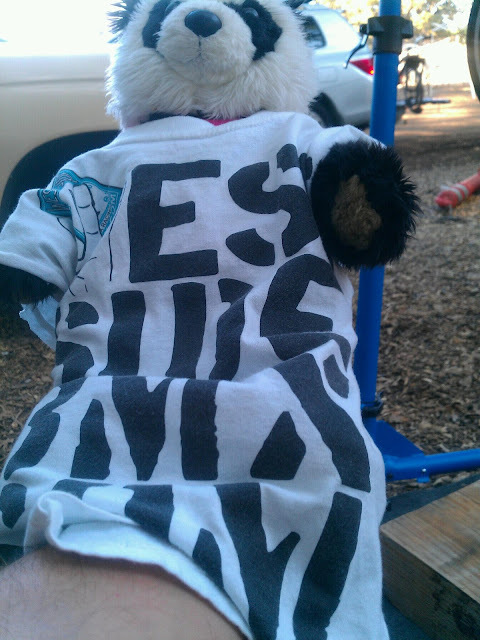 We have a new t shirt. $20 all sizes. Kids small thru abult 2x. If you didn't hit the last Love series you may be wondering what a mini-am is. It's like a pro-am for kids, but you can win cool prizes.Click the Link above to check out last years. 2012 love series pro-am finals. 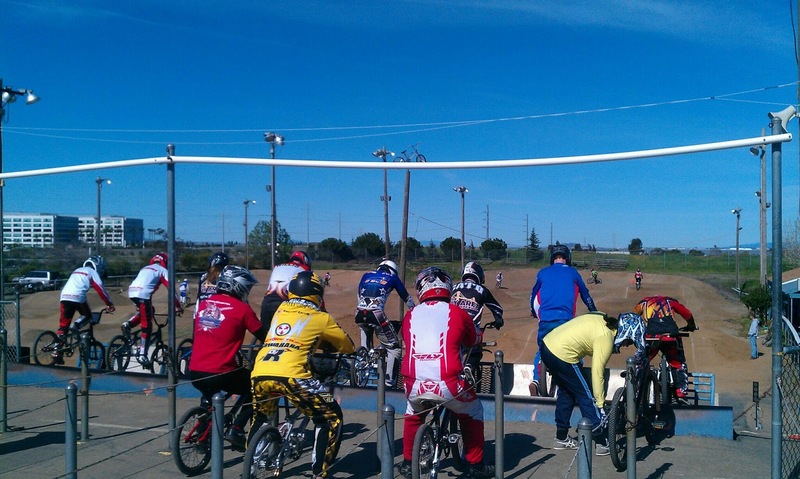 Check out the finals from last years NorCal love series Finals. Click the link above for the race action. Click on the link above to Check out some pro-am action from last years love series. Love series2 is coming soon and you wont want to miss it. 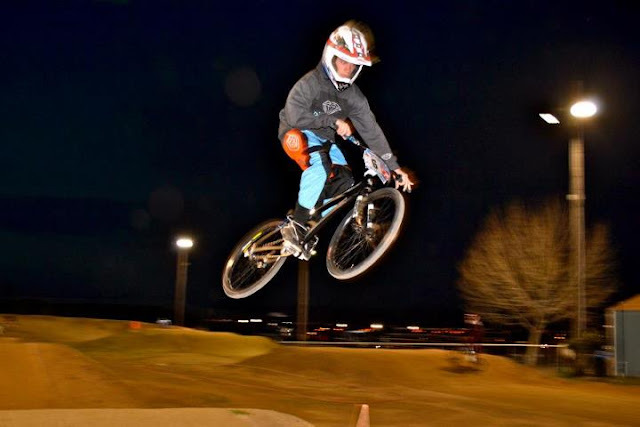 Deegan Brown got skills, but he also makes me nervous. Everytime he sees me on the track taking pics he does something rad.... And saves himself from eating it. But keep your eyes on him. Who's the best team in NorCal? There are a lot of great teams in NorCal. Some new, some established but there are a lot. Do you think your teams the best? Would you like to prove it? At the 2013 love series we will give you an opportunity to have fun with your team and show your pride. You could also win some money. More details to come. 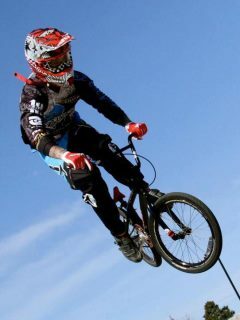 We are big fans of Tyler Shaefer here at Westsidebmx.com and I loved this edit. Check out her story by clicking the link above. In the spirit of the love series, todays POTD is of Nick and Luke where it all started. Love series1, Napa. I'm getting ready to have some fliers made for the love series. If your interested in sponsoring or donating for the raffle and would like your logo on the fliers hit me up on Facebook(James Traylor). This is a great opportunity for your company to be promoted in a positive light. How much promotion? Hit me up and let's figure it out. Thanks for your support. We've been working on trying to come up with the best bmx series ever known to man. And here is the schedule. NorCal love series 2 is a benefit series to help fight child hood cancer. All tracks participating have to agreed to donate all procedes from each race To Lukes Lemons. 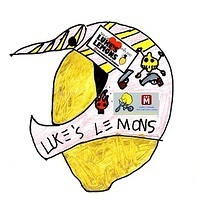 Lukes Lemons is charity started by Luke O'Moore and his family after they began Lukes fight with Leukemia. 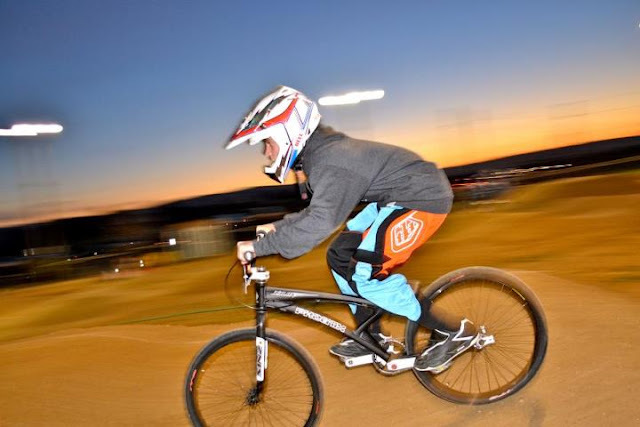 Luke is a normal 8 year old bmxer living in Northern California and but he also visits The Lucile Packard children's hospital where he's undergoing treatments to help him fight cancer. His charity Lukes Lemons, donates all money raised thru the series to the hospital to help with continued research. But the love series is also about some of the best bmx racing on the west coast. Each race will have a Pro am and a team challenge. Last years series was incredible and you won't want to miss this one. More details and information to come! April 27th-North Bay bmx, Napa. 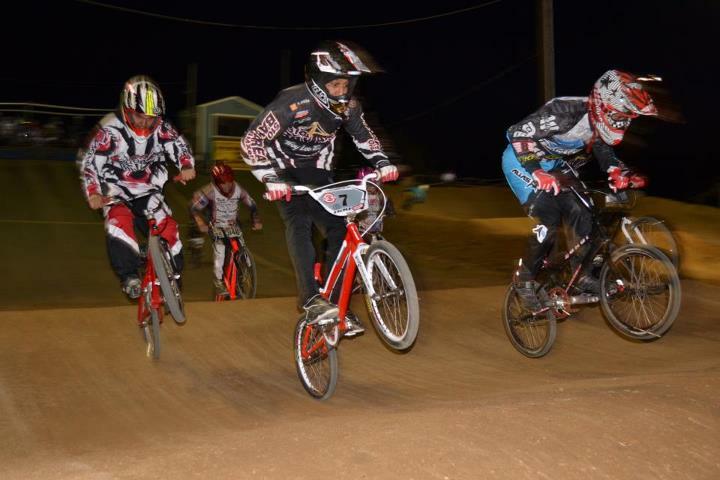 April 28th-Rusty Bowl bmx, Ukiah. 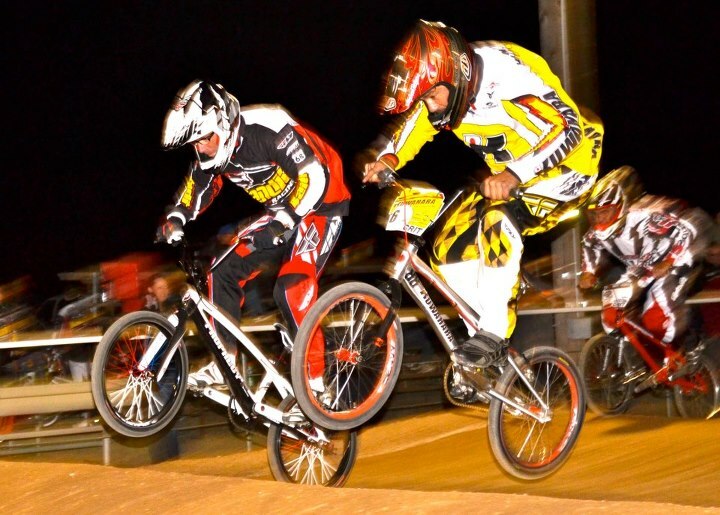 August 3-4- Spreckels Park bmx, Manteca. Click on the link above to check out a cool video on the history of Mongoose. 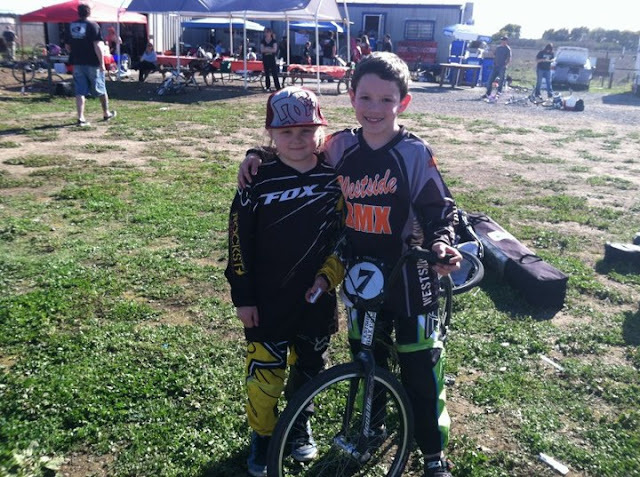 There are many positive aspects of bmx racing. One of the main ones in my opinion is the quality time it gives families to share together. Here is a prime example of father son bonding. 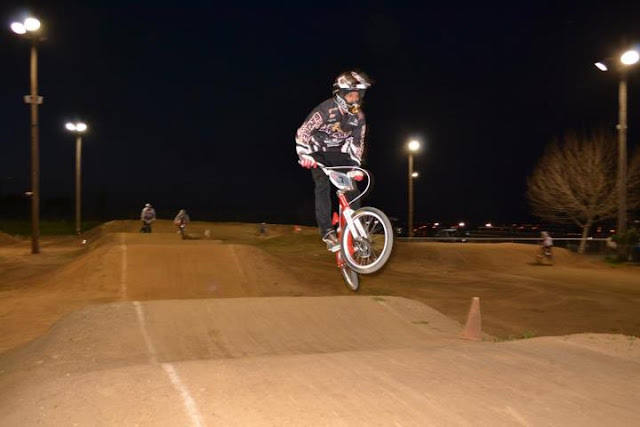 Bryan And Jake Harrell enjoying a night at the track. I was once told by a well known bmx trainer that Kenny Cross knows how to ride his bike, he just needs to get faster. So what does that mean? I took it as meaning that he need to start training away from the track, and its helped tons. Sprints, squats, plyos, weight lifting, etc. There are many different ways to get faster but my biggest tip is consistentsy. On a regular basis. It doesn't really do anything to train a couple of days and then quit, work it into your daily life and it will pay off. My .02 cents. 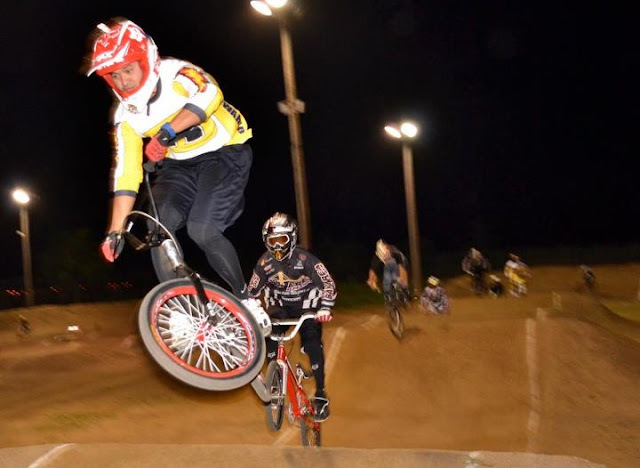 Former National number 1 amateur and NorCal living legend Alexis Vergara was spotted at Santa Clara pal bmx rocking a new ride. 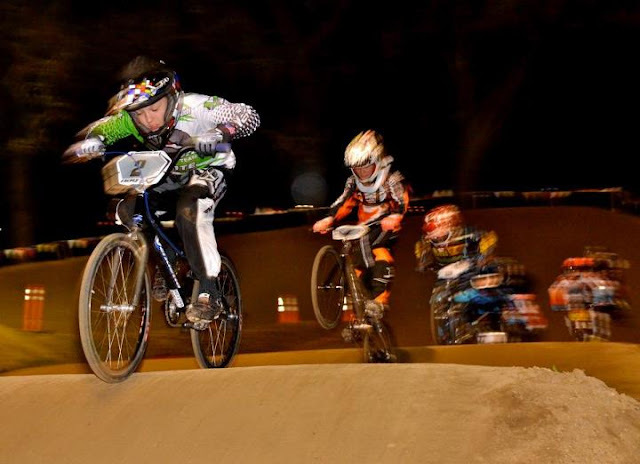 After an impresive Vet pro debut in reno this past January, The Turbo kid joined the Kuwahara squad. They have been quietly building a strong team and Alexis should be in the hunt for the title come Grands time. We will keep you posted. 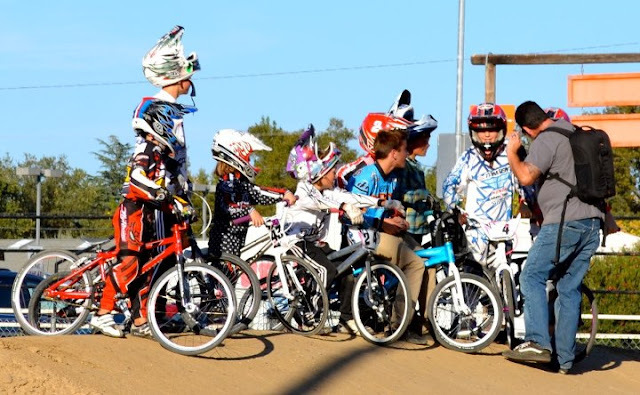 Check out the team in Reno at the 2013 USA bmx Silver Dollar Nationals. I just figured out how to blog from my phone so it should be on. Pic of the day: Brad and the Cobra. 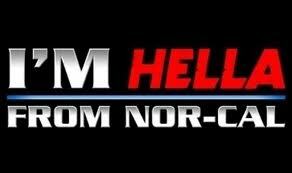 Heading out to Manteca tonight to party down and show a little support for one of the best local programs in NorCal. I think there may still he tickets available. Hit them up and head over. I haven't been blogging to much because I couldn't do it from my phone. So I'm sitting here and it dawns on me to see if there is an app.... And voila.